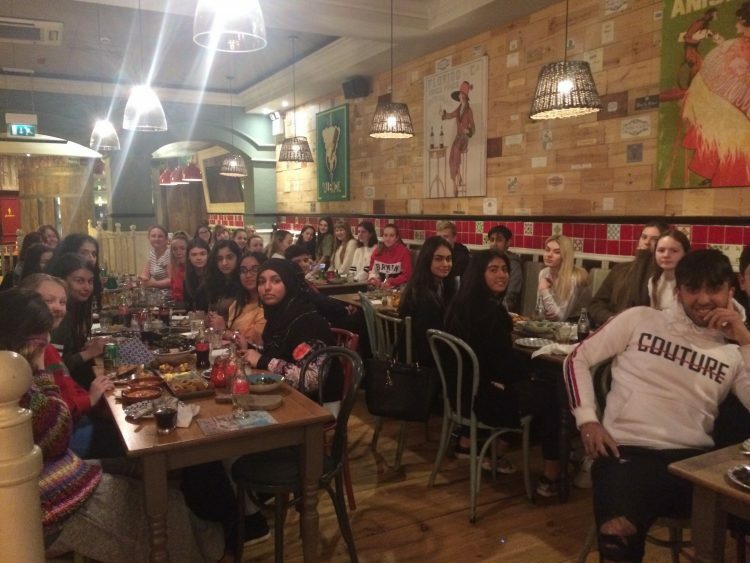 Last night, 35 GCSE Spanish students went to La Tasca Spanish restaurant for an evening of tapas tasting. They were served a variety of dishes to share and the particular favourites were albóndigas (meatballs), patatas bravas and calamares. After filling up on delicious food, the students then had some free time for some ‘compras’ in the Trafford Centre. ¡Qué suerte!